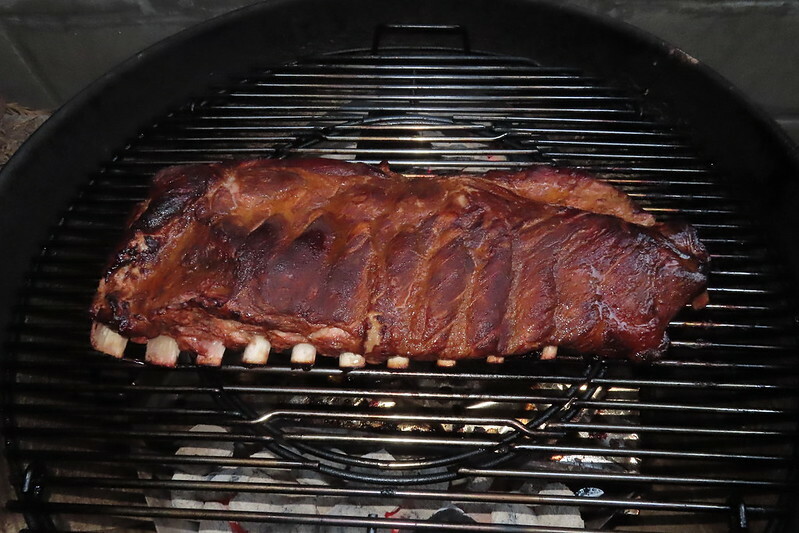 I'm really starting like this method that I have been cooking spare ribs latey, especially if you want ribs after work and don't want to spend hrs cooking them. 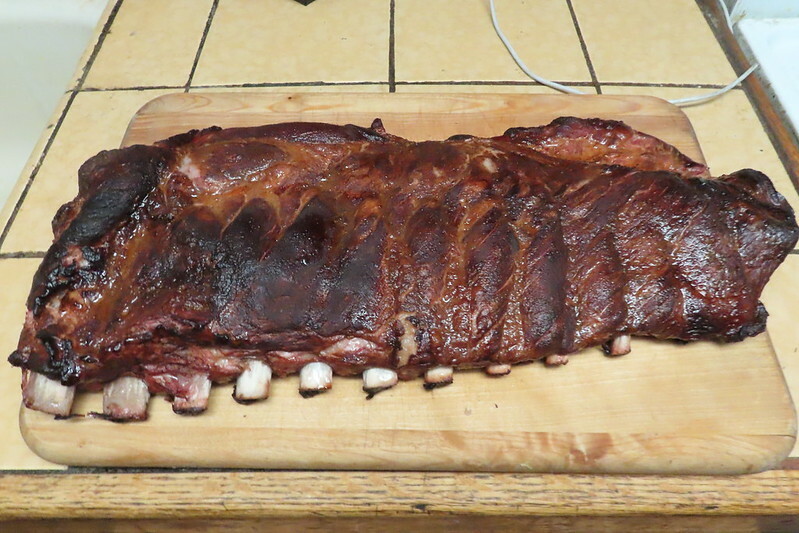 This is 4th time I've done spare ribs this way. Really simple. Just throw them on the Weber Grill, set the timer for 1 hr, then foil them with some liquid, I use coke zero, reset the timer for another hr. After that, place them back on the grill for about 5 minutes or so. 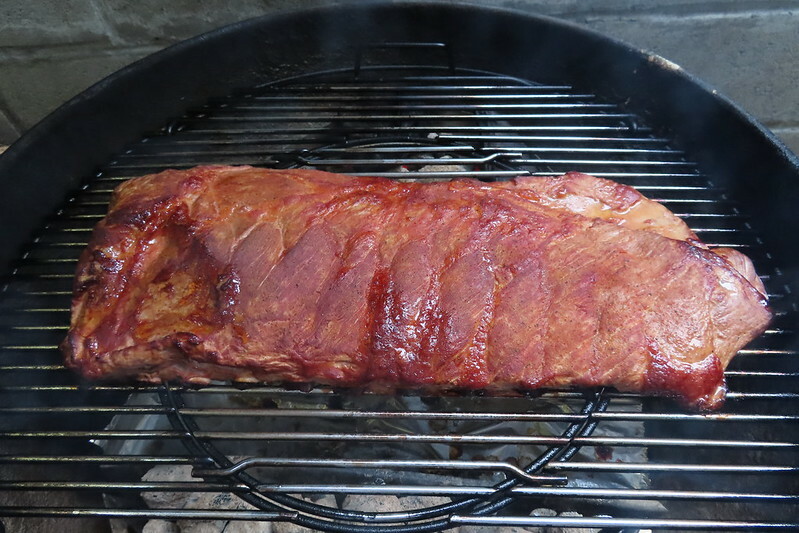 No need so sauce, these ribs were very tender and juicy. I used Pecan wood and some Steven Raichlen project smoked Kansas city rub. Here are the pics hope everybody had a great Labor Day weekend . I agree, HH ribs are defiantly the way to go. 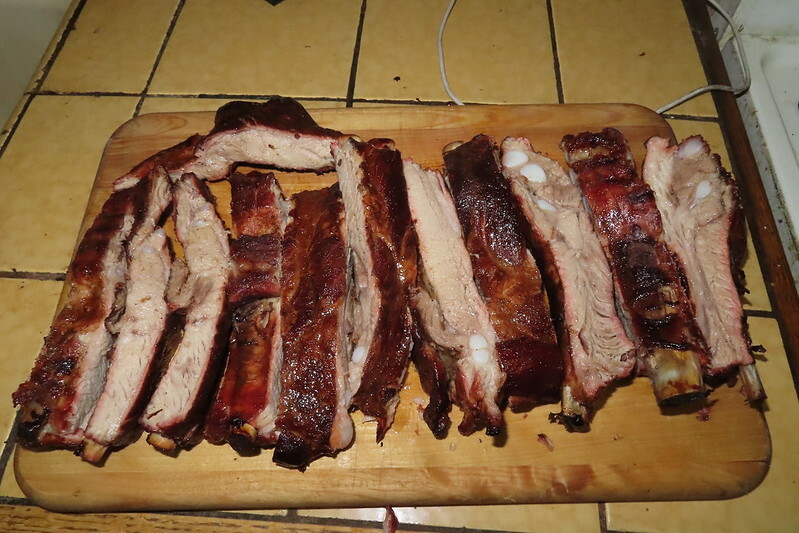 We do that with baby backs and get them done in 1 1/2 hours. Haven't tried spares yet but will be trying that soon after seeing yours.